We recognize that vacancy is your biggest expense, and we do what we can to reduce the amount of time it takes to rent the property. Once your property is listed, our team is constantly tracking calls, applications and property showings. We can make recommendations for adjustments to presentation, price or exposure to ensure your property is rented quickly. We realize some owners seek higher rent to cover their mortgage, but keep in mind that rent is determined by evaluating market conditions and comparable properties, not by what the mortgage amount is. When we are able to rent properties at the market rate, your property gets rented faster and it spends less time sitting vacant, saving you from lost income. Owners can specify whether and what kinds of pets to allow. Please note, if you do not allow pets you are cutting out 30-40 percent of your prospective tenants. If you do allow pets, we recommend a limit of two pets, each under 25 pounds, with an additional deposit per pet. Traveling professionals and executives have come to trust Rooftop Real Estate Management. We have developed relationships with companies looking for temporary housing for their employees and are continually working to build new relationships that lead to fewer vacancies. Rooftop Real Estate’s Furnished Rental Program is a huge benefit to our property owners. We are able to open up vacancies to the furnished rental market, without the property owner incurring the added expense/ risk of providing the furnishings. Rooftop’s Furnished Rental Program results in shorter vacancy times and a higher return on investment month after month. We personally show properties to prospective tenants. 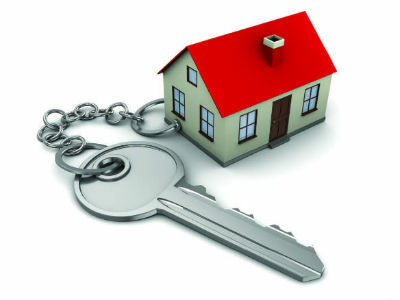 It is standard for other property management companies to hand out keys to prospective tenants wanting to see a unit and trust them to return them (without having made a copy) or give them a code to enter and let them roam through your investment unaccompanied. While this saves them time and money, it is dangerous to future tenants and to your property. Rest assured, we will never allow strangers access to your investment alone. A member of our staff will always be there when showing a property and will be prepared to answer questions, clear up concerns and keep your property safe. We are available days, nights and weekends to show your vacancy.